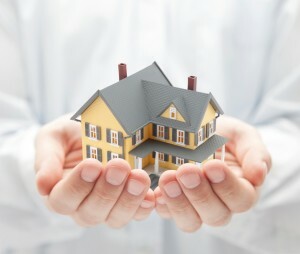 Homeowners insurance provides financial protection for your home. It also provides protection if you or any of your family members are legally responsible for any damage to other properties. This type of insurance is a package policy — meaning, it covers both damage to your property and liability to other properties. Insurance policies may vary from state to state. The coverage ranges from the basic policy to policies that give you a much broader protection. Before insuring your property, however, you have to be clear with the insurance company what does homeowners insurance covers before you seal the deal. Dwelling Coverage – This coverage insures your house once it is damaged from fire, storm and snow. This coverage pays to rebuild your house including the electrical wiring, air conditioning and plumbing. In some policies, damage from flood and earthquake is not included. This is the reason why some homeowners opt to buy this policy, especially if they are living in a natural disaster-prone area. Other Structure Coverage – This covers the destruction of your fences, gates, garage and storage sheds. 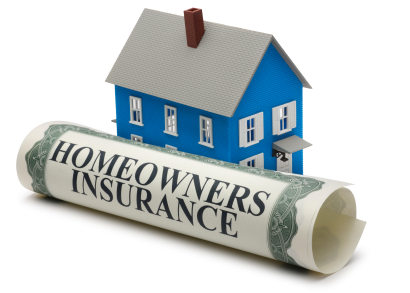 Typically a home insurance policy will cover 10% of your dwelling coverage. For example, if you have $100,000 worth of coverage to the structure if your house, the amount cover for your detached property is $10,000. Personal Property Coverage – This policy pays the content damage of your house. It covers including your furniture, appliances, clothing and sporting goods if they are damaged, destroyed or stolen. For jewelries, only a minimal amount of coverage can be provided. Liability Coverage – This protects you and your family members from being sued or made legally responsible for causing injuries to other people or damage to other property. This policy usually covers $100,000 per occurrence. The insurance company will defend you while facing a lawsuit. However, you must remember that the homeowners insurance only covers your negligence, and not the intentional injuries or damages caused. Loss of Use Coverage – This policy covers the amount you have to pay for additional living and housing expense if you are temporarily moving out of your home while it is being restored. For example your home was totally damaged after a storm, the insurance company will pay for your hotel and restaurant bill while it is being restored. Medical Payment Coverage – The insurance pays the medical bill if someone gets hurt on your property. This coverage also gives protection to dog owners from dog-bites claims with no additional cost. However, there are some insurance companies that limit the amount or the days that they can cover. This coverage doesn’t apply to you or to your family members who lived in your house but, it is intended for your visitors. Replacement Value – This refers to the reimbursement for the repair and replacement of any damage item in your home. If you repair your air condition, you can claim a reimbursement of your expenses provided that you submit the necessary documents like receipts. Scheduled Personal Property Endorsement – Your possessions like jewelries, coins, antiques, fur, stamps, computer, coins and other collectibles are covered. If you are a collector of such items, make sure that they are included in your homeowners insurance coverage. Secondary Residence premises endorsement – covers your secondary residence such as a summer or vacation homes. If you have more than one house, you need make sure that your homeowners insurance covers this, because the most basic policy only covers the primary house. Hazard Insurance – This protects you from uncontrollable and unforeseen events such as earthquakes and flood. If your house lies in a flood-prone area, be sure to include this coverage in your policy. In order to avoid making costly assumptions, it really pays off to know what is included and what is not. It is to your advantage to have a knowledge on what does homeowners insurance cover, than to be stuck in a tough situation wherein you will be forced to shell out your own money to pay for something you thought is part of the insurance policy you paid.